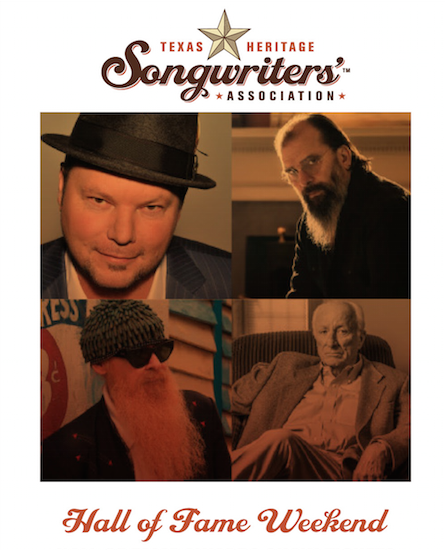 Tickets to the 2019 Texas Heritage Songwriters’ Association Hall of Fame Awards Show at Paramount Theatre go on sale today (Jan. 18) at 12 p.m., honoring a new class of inductees including Christopher Cross, Steve Earle, Billy F Gibbons, and Bob McDill. The 2019 Hall of Fame Awards Show will take place on Saturday, Feb. 23, celebrating this new class of Texas songwriters, delivering an evening of presentations, tributes, and performances by honorees Cross, Earle, and Gibbons with Mike Flanigin and Chris Layton. Performances by Shawn Camp, Rodney Crowell and Lee Ann Womack will pay tribute to songwriting honoree McDill. Past inductees include Guy Clark, Mac Davis, Ronnie Dunn, Joe Ely, Waylon Jennings, Kris Kristofferson, Lyle Lovett, Willie Nelson, K.T. Oslin, Liz Rose, Allen Shamblin, Townes Van Zandt, Cindy Walker, and more.